You can choose and customize a template. 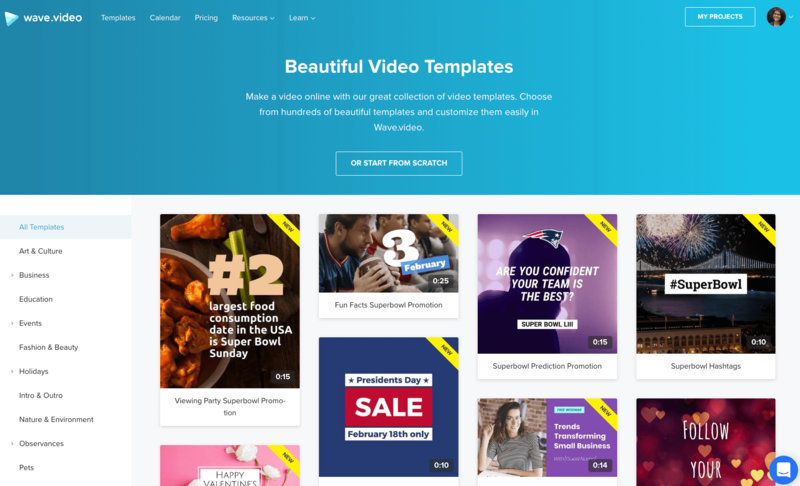 We have a great collection of video templates on different topics and occasions. 2. You can create your video from scratch. In order to do that, click the button “Start from scratch” from the page “Templates”. You can also open a blank project from the page “My projects” (look out for the yellow button "Create project"). Once you click the "Start from scratch" button, it will open up the editor. In Wave.video, you can start making a video by choosing the formats you want your video to turn out in. 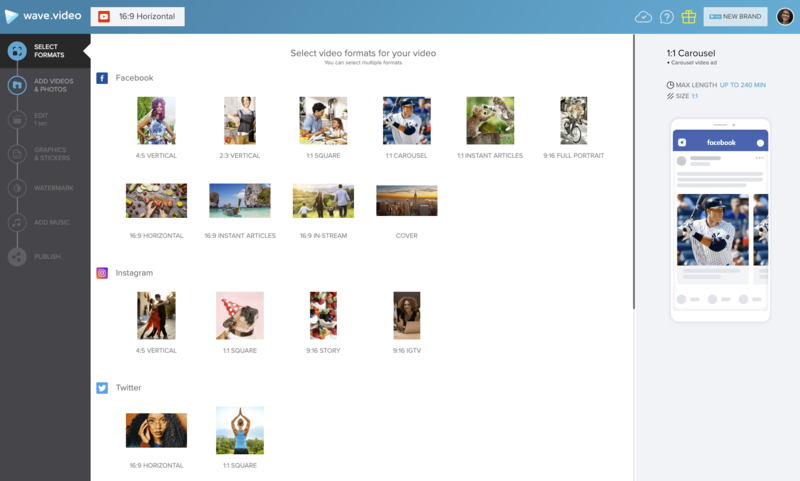 The best part is that you can easily resize the video to the formats you choose. You can also add more formats on the go. After that, you can add a video clip or image to serve as a background. You can either search through the stock library that comes with Wave.video or upload your own footage. After that, you can head over to the Edit step and add animated text to your video to convey your message. You can also make your video more engaging by adding video filters, animated stickers and GIFs, and your logo. You can also add a watermark that will play throughout the whole video. This will help you give the video a branded look. Once you are happy with the video you made, head over to the Publish step. You can download the video directly to your computer (this feature is available starting from the Creator plan) or share on social right form Wave.video.